Everyone knows that metal takes an imprint better and that it’s easier to psychometrize. 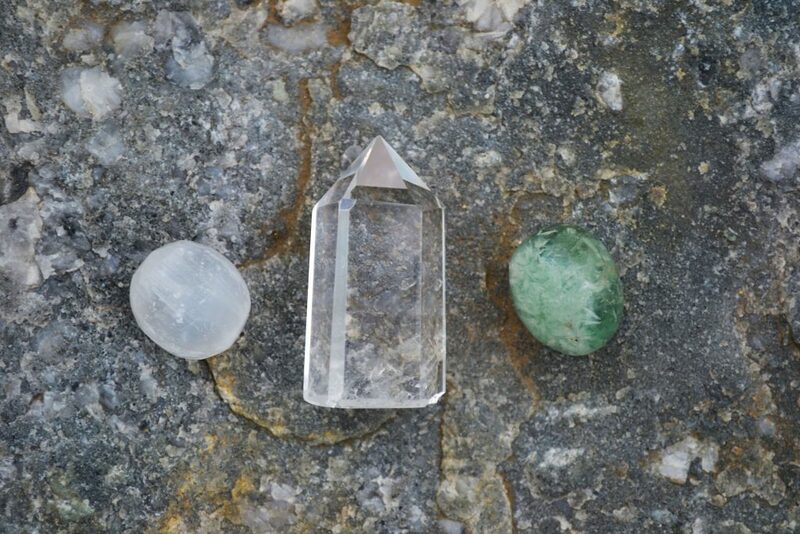 Crystals harmonize energy and help organize it for different things. These are essentially psychic and New Age truisms. Questioning the efficacy of crystals for energy work is a New Age heresy. Doubting that metals take charges better than plastics is a violation of the deepest dogmas of psychic work. Even within the ritual magic world, we can see the properties of different materials being invoked for its ability to interact with magical energies. One recurring criticism of all energy work is the question of why this should be the case. Surely, if something interacts with matter, it must have material properties. That we cannot detect it, then, may indicate that it’s not there at all. A great number of parapsychologists have used these material interactive properties to posit that psychic energy must have electrical, magnetic, or other physical properties. In the field of radionics, where devices are built and used as modern altars, there are endless discussions of whether or not the device needs to be electrically functional. The general consensus is that it does not, in some cases even going to the extreme of the device merely needing to be drawn on paper to work. Still, some in the radionics community have taken to calling it “eloptic energy,” due to its seemingly possessing the properties of both electricity and light, and because the flow of this subtle energy can be directed by both electricity and light. A few days ago I asked a friend of mine who I know has experimented with orgonite about her findings. Orgonite is a material developed to work as psychic energy amplifiers, batteries, and so on based on the work of Wilhelm Reich. It is generally nothing more than metals (and usually a quartz shard or two) suspended in resin. My friend told me she’s had best results with copper suspended in casein plastic. This intuitively makes a lot of sense. Casein plastic is organic, and copper is a transition metal that I know to take an energetic imprint well. Other orgonites use petroleum based resins–plastics–that don’t inhibit subtle energy, but also don’t contribute to it. Why does subtle energy seem to interact differently with different matter? Why does matter matter? And why can’t we detect subtle energy using scientific equipment? I’ve mentioned before that I think that subtle energy may not be anything other than consciousness-manifesting stuff. Not really energy, not some kind of electrical or magnetic force, not “bioplasma,” but just consciousness directed and manifested in the world. Some of its properties uphold this hypothesis. For example, energy imprints on things we interact with consciously. The information we can gather about things through psychometry is information that people would think or know about that object. When we create constructs or energetic fields intended to accomplish goals, they manifest our will. Our own energetic bodies reflect the activities of our consciousness (including both the conscious and unconscious mind). If this is the case, it’s likely that it’s not an inherent property of energy or of matter that subtle energy behaves in these ways when interacting with matter. Instead, it’s a result of deeply rooted ideas about metals, crystals, and so on that causes energy to interact with it in those ways. Indeed, on some level, it may be so deep as to happen at the very level where physical objects gain their properties, through infinite lives of habitual thought. But even without going so extreme, it’s not outlandish to think that energy would follow similar rules. We are familiar with electricity and know that it flows well along non-magnetic transition metals like gold, silver, and copper; the same things we generally wear as jewelry. So it’s no surprise that the energy around us, shaped by our consciousness, would behave according to our beliefs about those metals. Similarly, we have ideas about crystals, and which ones are good for what, through both New Age tradition and the fact that our perceptions seem to have influenced even that. Citrine is “warm,” after all, because that’s what we think about orange. In the end, it doesn’t matter experientially for the energy worker why energy behaves differently with different matter. We can plainly observe that it does, and that’s what really matters to us. But for those who have been frustrated or perturbed by the seeming paradox of subtle energy’s interaction with matter while being illusive to detection, I hope that this hypothesis provides some peace of mind; or, at least a new perspective.